Full TwinFlo’ two-stage professional motor giving exceptional performance with AutoSave - Energy Conservation - 50% Energy saving - 30% Improved Air Quality - 20% Lower Noise Level. 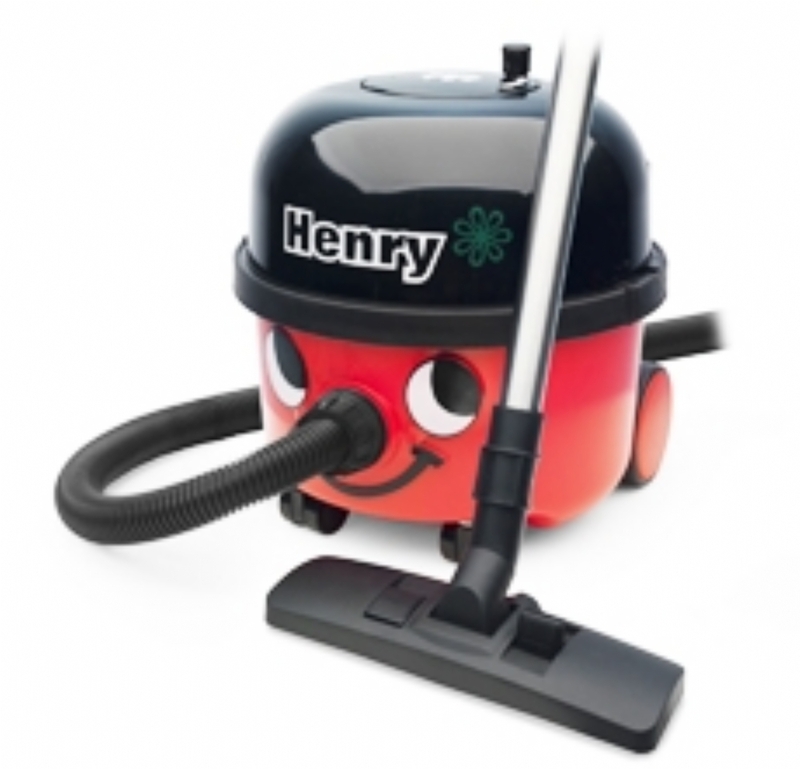 Every time you switch Henry on you will automatically start on the economy setting, only if more power is needed to cope with extra dirt do you need to push the red switch to operate in Hi mode. When you see the red light you know you are in Hi mode so when you go onto hard floors or deep carpets or don't need maximum power, push the red switch again and you are back in economy mode. The 10-metre cable storage and rewind system is a work of art, trouble free and spring free, and it keeps everything neat and tidy. The giant Tritex filter system makes sure that what goes in stays in, and the highly efficient HepaFlo dust bags, improve filtration efficiency, cleanliness and capacity.